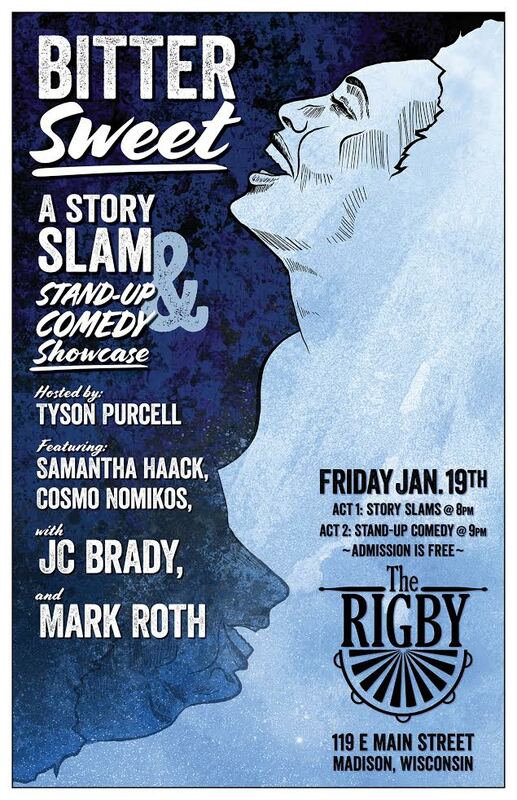 Local Madison comedians are bringing a new type of showcase comprised of telling short stories (story SLAMs) paired with stand-up comedy to The Rigby Pub and Grill at 119 East Main Street on Friday January 19 at 8 p.m. This premiere is free admission, exclusively featuring local Madison comics: Tyson Purcell, Devin Carroll, Samantha Haack, JC Brady, and Mark Roth. The passion project of Purcell, he built this showcase to tell how hardships dealt with levity turn tragedy into humor. The first act is comprised of all five performers telling story SLAMs covering topics from dealing with ADHD, to losing parents, to processing the pain from a failed relationship. After a brief intermission, the same five performers return to the stage in the second act to show how cathartic humor can be.